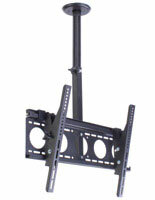 This TV Stand Mount For 15" LCD TV Has Commercial and Residential Possibilities! 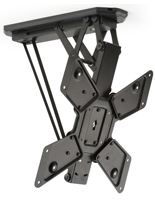 This TV Stand Rotates Television Screens 360 Degrees with a Metal Arm! Buy This TV Stand Today! 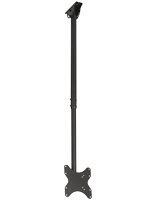 This TV stand mount for 15" LCD TV is suitable for big venues to up to date facts to visitors. The TV stand works well in fitness clubs, commercial shops, bars & eateries, and may even be utilized in the abode. 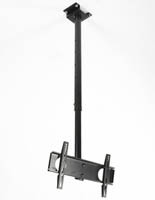 A TV stand, also recognized as a thin profile television bracket, saves both wall and ground area as it hangs one's own flat panel TV from the ceiling. This TV stand is fabricated of heavy-duty aluminum so it will last for years to come. The TV stand is VESA-consistent up to 200x200 and will support Sony, NEC, and other TVs ranging in dimension from 10"-42" weighing no greater than 77 pounds. 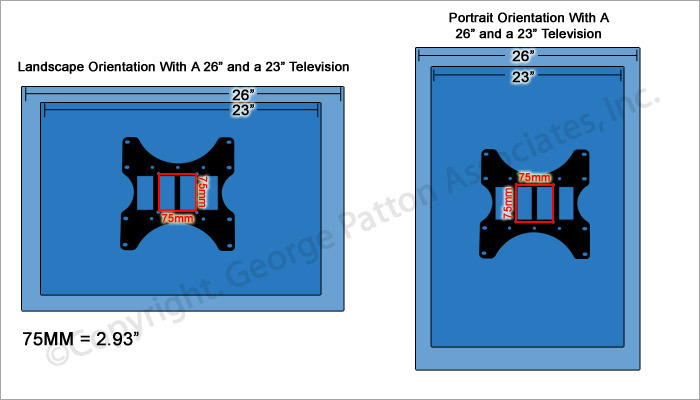 Whether for commercial or residential utilization, this TV stand is an effective way to exhibit one's own flat panel plasma or LCD TV. 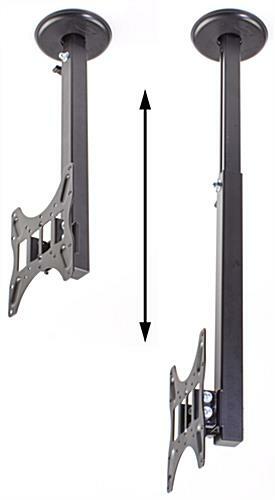 This TV stand, ceiling bracket has several excellent characteristics. 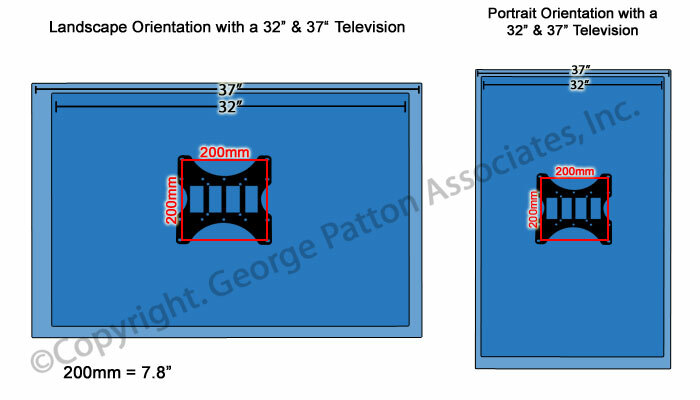 The TV stand has an adaptable arm, so it is possible to locate the center of these TV stands anywhere from 18-1/8" to 31-1/2" from the ceiling. The TV stand likewise swivels so it is possible to revolve one's own TV 360°. 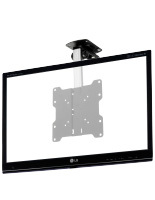 A tilt mount bracket permits the TV to be tilted downward to 15° for best viewing. 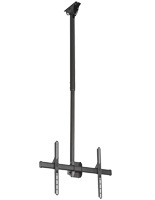 This TV stand is sold with all tools needed for affixing to a ceiling and for the attachment of a flat monitor TV. 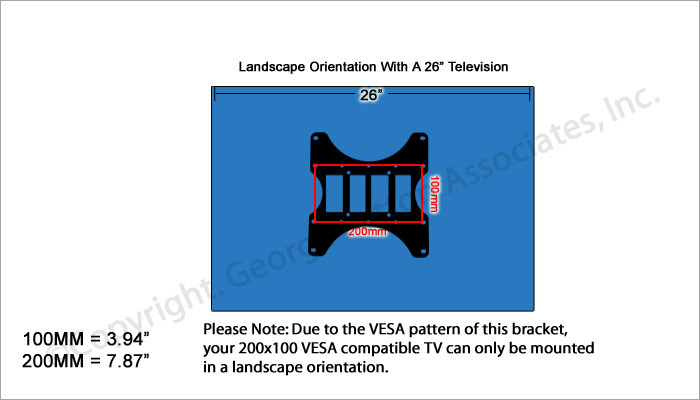 Some TVs may need special screws that tend to be not provided but tend to be available at any tools shop. Our company recommends that you consult an expert if you have any inquiries regarding installment of this mount on a ceiling. 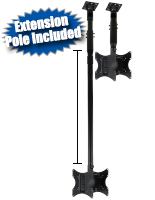 Works very nicely, having 2 people to hang the TV onto the stand once you get it installed is necessary as you can't dis-assemble the mount and hang it in pieces. Thank you for the feedback, Bill! We appreciate it and are glad to hear you're happy with the ceiling mount!